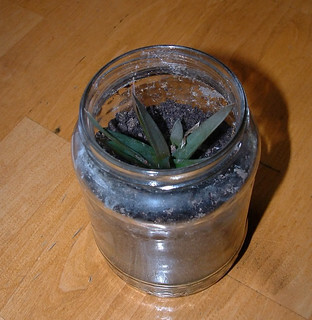 I found using a recycled glass jar works great for my Aloe Vera starts. Here is one that I planted in a large jam jar. This has been growing in the jar for several months now and it’s just thriving. 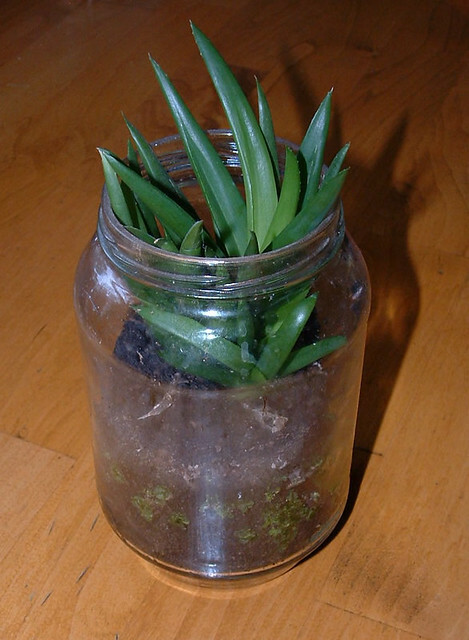 The glass jar acts as a terrarium and the Aloe plant seems to really like the glass jar planter. Here is another one I started in a recycled pickle jar. This one has not taken off yet but I’m hopeful with time, it will thrive just like the other one. 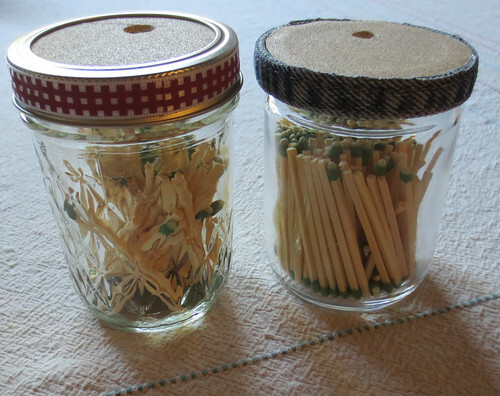 Here is a handy idea to recycle small glass jars into wooden match holders. I have added a sandpaper cover to strike the match on as shown. A hole was added on each jar so you can just shake out a match as needed. The old jar on the right was a small screw-on jar that I drilled a hole into the lid for the match opening. The other jar was a jelly jar that was gifted to me. For both jars, I traced around the lid on a piece of sandpaper for the top. 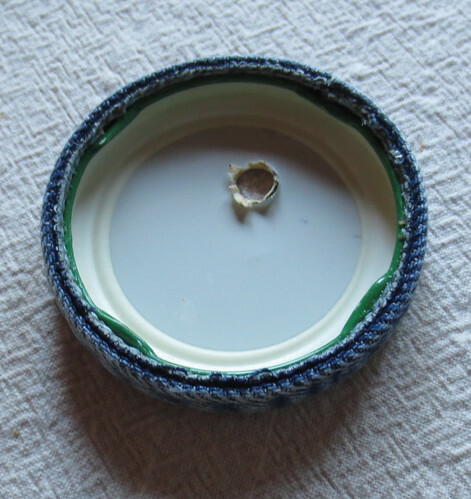 I glued the sandpaper disk to the top of the metal lid for the screw-on jar. 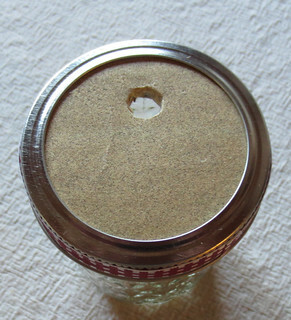 For the jelly jar, I glued the sandpaper to a piece of cardboard and then screwed on the lid ring. I punched a round hole through the top of both so you can just shake out a match from the jar. I added a piece of recycled denim hem to the one jar lid for trim. Just cut a piece of hem for an old pair of jeans and glue it in place around the lid rim.